Salt Lake City’s Transportation Division, along with several partner organizations, invite residents and area stakeholders to meet and discuss the future of the Foothill Drive corridor at an open house to be held Thursday, March 31, at 5 pm located at Hillside Middle School, 1825 Nevada Street in Salt Lake City. The open house marks the beginning of Foothill Drive Implementation Strategy, which will identify short term and long-term priorities to address traffic congestion, improve neighborhood connections, enhance safety, and provide transportation options. 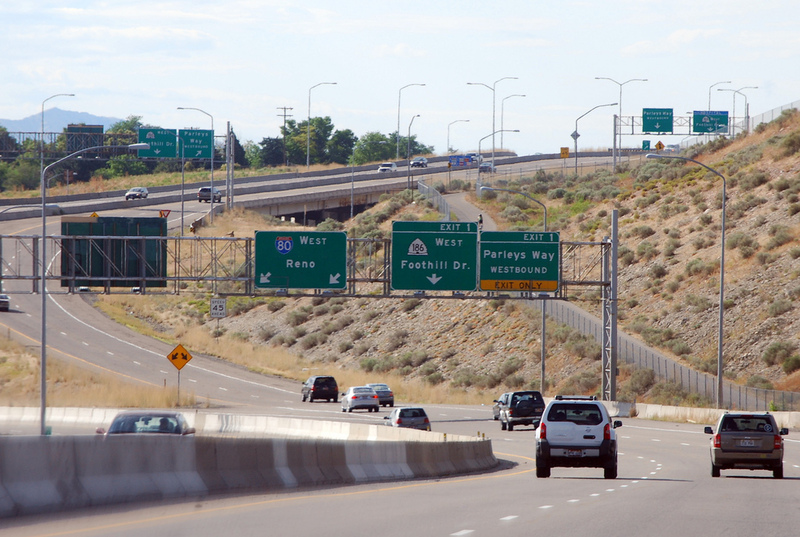 Foothill Drive has long served as a vital urban thoroughfare linking I-80, I-215, and Parley’s Way at the City’s Southeastern border to the Foothill Cultural District and the University of Utah, and eventually Downtown via 500/400 South. The street also serves as a neighbor commercial corridor and regular users have expressed interest in enhancing the safety, efficiency and aesthetics of the corridor for pedestrians, cyclists, drivers and transit riders. To learn more about the project and to share your ideas, visit the project website at www.foothilldrive.org, email the project team at foothilldriveslc@gmail.com, join us at the upcoming open house or call the project hotline at 801-535-7130 to provide comment. When: Thursday, March 31st from 5 p.m. -7 p.m.
People with disabilities who would like to request reasonable accommodation to attend this event should provide 48 hours advance notice. Accommodations may include alternate formats, interpreters, and other auxiliary aids. For questions or additional information, please contact Christine Passey, Coordinator for Disability Rights/Special Projects, at christine.passey@slcgov.com, 801-535-7110, or TDD 801-535-6021. Salt Lake County Health Department is hosting a free Climate Variability and Health Symposium on April 6&7. The event is brings together a diverse audience of health professionals, climate experts, and the general public to study and discuss the local impacts of climate variability. The symposium will focus on the threat climate variability poses to human health, and the disproportionate impact those changes could have on vulnerable populations. Presenters will cover a broad range of topics relevant to climate variability and public health, including the impact of changing temperatures on our food supplies, water availability (and quality), insect populations, air quality, and how best to protect our most vulnerable constituents. The symposium’s goal is to increase understanding of the public health issues climate variability presents, and encourage discussion on how to build a healthier, more resilient community. For more information and to register, visit the Symposium event page. In addition to the academic portion, the symposium will also include a public open house on Thursday evening, April 7, that includes family-friendly activities for all ages. Salt Lake County Health Department’s Climate Adaptation and Health Open House brings together members from many different parts of the community—scientists, skiers, students, families, and public health professionals—to learn and share knowledge about the local impact of climate variability. With fun activities, educational booths, games, and engaging speakers, this event will have something for everyone. The goal is to educate and inspire the public to leave thinking how they can participate in climate adaptation and mitigation. For more information, visit the Open House event page. Climate, Food & Conflict: How is Climate Change Creating Disruptions Across the Globe? Thursday, March 3, 2016 at 7:00 p.m.
Join us on Thursday, March 3 for an exciting film screening and panel discussion with Dr. Tariq Banuri and Dr. Christine Clay to hear their insights on agriculture, climate change and disruption in the Middle East. We’ll start the evening with a 60-minute screening of Episode 7 of the Emmy-award winning series Years of Living Dangerously. Episode 7, titled Revolt, Rebuild, Renew, features Jessica Alba, Thomas Friedman, and Chris Hayes and focuses on three stories that provide insight into the economic costs and opportunities of global warming. The film screening will be followed by a 30-minute panel with our local experts. Professor Tariq Banuri, Department of Economics, University of Utah, is an expert on sustainable development policy and institutional design. Before joining the University of Utah, he had served as the Director, UN Division for Sustainable Development, and earlier as the Director of Future Studies, Stockholm Environment Institute, and Executive Director, Sustainable Development Policy Institute, Islamabad. He has been instrumental in the design of a number of institutions and networks on sustainable development, and has provided policy advice to the Government of Pakistan as well as several international institutions. He has served on national as well as international forums for policy and research, including as Coordinating Lead Author on the Nobel Prize winning Inter-governmental Panel on Climate Change (IPCC), member of the UN Secretary General’s Advisory Group on Energy and Climate Change (AGECC), member of the United Nations’ Committee on Development Policy (CDP), member of the Pakistan Environmental Protection Council, member of the board of governors of Pakistan’s central bank, member/secretary of the Presidential Committee on Higher Education, and Chair of IUCN’s Commission on Environmental, Economic, and Social Policy (CEESP). Christy Clay has been a member of the faculty at Westminster College since 2007. She teaches a variety of courses in the Environmental Studies and Biology departments, and serves as chair of the Environmental Studies Program. She also has an active undergraduate research program investigating the environmental and ecological constraints of urban agriculture and food production. In her free time, Christy can be found working in her own garden, trail running or mountain biking, and obsessing about the current state of our food and agriculture system. Christy has a Bachelor’s Degree in Art History from Colorado College and a PhD in Biology from University of Utah. On March 18th through the 20th, Citizens’ Climate Lobby (CCL) will be putting on their Wild West regional conference in downtown Salt Lake City. This annual event brings together members and welcomes newcomers from the Wild West region (Arizona, Colorado, Montana, Nevada, New Mexico, Utah, and Wyoming) to meet and to participate in various in-depth workshops. These sessions will feature panel discussions and training on topics ranging from climate science to advanced communications training that will increase understanding, develop skills, and promote collaborations around common concerns we face in this area. The keynote speaker will be Physicist, Dr. Rob Davies from Utah Climate Center who will discuss how to communicate about climate change in a way that resonates and motivates people to take action. For those new to CCL and interested in getting involved, the conference starts off with a Climate Advocate Training and Group Start Workshop on Saturday to learn about the group’s efforts, goals, and methods. • CCL leaders from each state addressing area-specific issues and strategies used to influence Members of Congress. • Breakout Sessions on climate and health, a writers workshop, exerting political influence, broadening reach to include under-represented groups, how to use social media effectively. • A social gathering to meet other members on Friday with live music, drink, and appetizers and a performance on Saturday by The Crossroads Project. CCL is an advocacy organization dedicated to addressing climate change through national policies. They train and support volunteers to engage elected officials, the media, and the public. Interested in learning how to influence policies or getting involved? Visit the event page for additional details and to register. Early registration is $65 and is now open until February 19th, registration after the 19th is $75. Registration fee covers all sessions, the Crossroads Project performance, as well as lunch and dinner on Saturday. There is no charge for the newcomer Advocate Training and Group Start Workshop on Saturday. The conference will take place at The Chase Mill at Tracy Aviary (589 E. 1300 S. SLC, UT 84105) and at the Wasatch Retreat and Conference Center at the Episcopal Church.